We are officially in the heart of the holiday season… December is one of my favorite months. Between the snow, skiing, hot cocoa, basketball, football, sweatshirts, and vacation, what is there not to love about the month?? 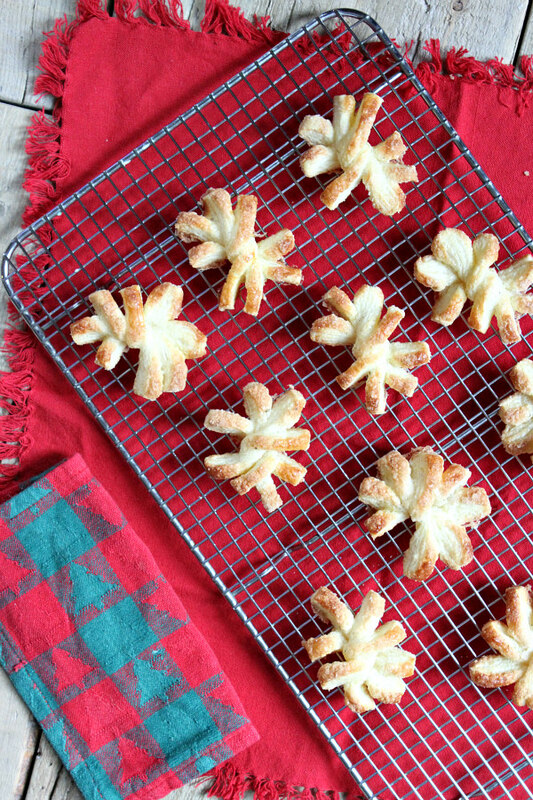 (Besides the cold, of course) This week I continued my festive food-theme with some Puff Pastry Snowflakes. 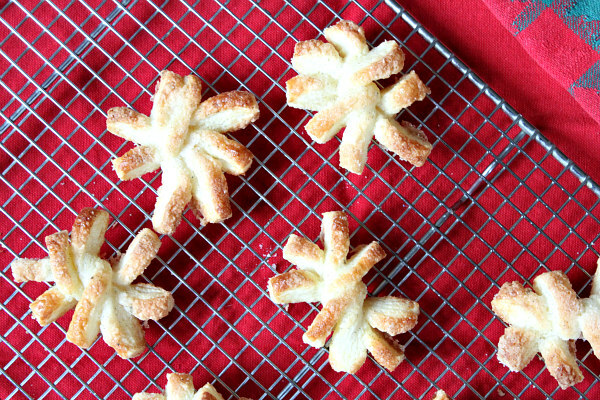 Okay okay… They may not look exactly like snowflakes, but no snowflake ever looks the same, right? 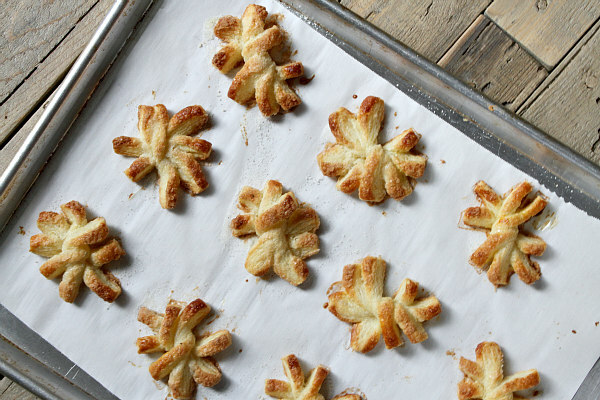 These Puff Pastry Snowflakes are sure to be a hit at any holiday party. 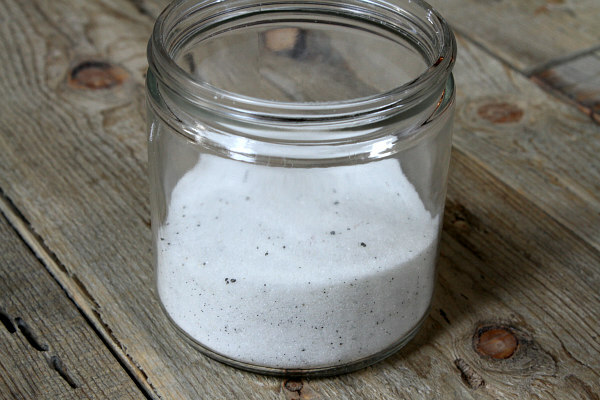 This is vanilla bean sugar… uper easy to make by mixing a scraped vanilla bean with sugar. It’s pretty darn tasty! The steps look harder than they actually are… This part of the recipe couldn’t have taken more than fifteen to twenty minutes to complete. 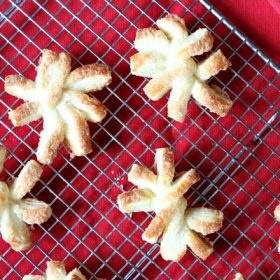 Just be sure to form your snowflakes correctly so they puff up into perfect little pastries! The golden-brown color already tells you that these snowflakes are flaky, crispy and wicked good . These Puff Pastry masterpieces will have people thinking that you’re a professional pastry chef in your down time! 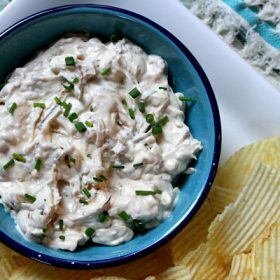 They are easy to make and yield fantastic results. The best part about this recipe? It is fully customizeable! You can use different flavors instead of the vanilla bean to create your own taste (like orange or lemon). But trust me, there’s no need to change the flavoring in this recipe… these pastries are delicious. 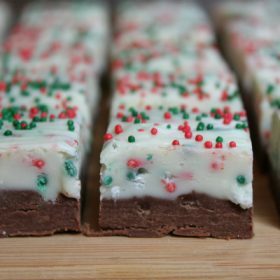 Before your next holiday party, definitely jump in the kitchen and bring out your inner pastry chef! Put a large piece of parchment paper on a work surface and sprinkle with 2 tablespoons of vanilla sugar. Lay the puff pastry on top, sprinkle with 2 more tablespoons of vanilla sugar and roll out into a 12-inch square. Trim the edges to make an even square, then cut the pastry into four 3-inch wide strips. Lightly beat the egg and water in a small bowl, Brush the egg wash lengthwise down the center of 3 pastry strips. Stack the 3 strips neatly on top of each other; top with the remaining pastry strip. Place the rolling pin lengthwise down the center of the pastry stack and press gently to adhere the layers in the center; the edges should remain separated. 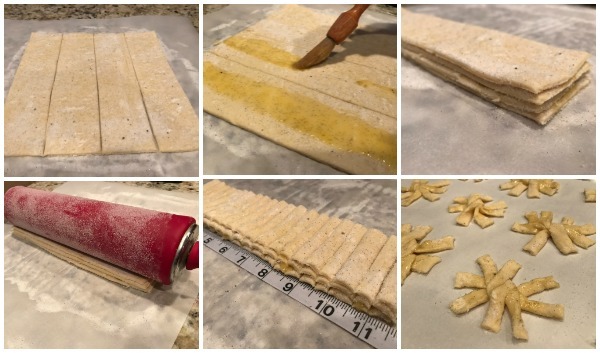 Cut the stack crosswise into 1/2 x 3-inch strips (if the pastry is too soft to cut, transfer to a baking sheet and refrigerate until firm- about 15 minutes). Line 2 baking sheets with parchment paper. Pinch the center of each strip, then twist the pastry twice at the pinch point. Arrange 1-inch apart on the prepared baking sheets. Fan out the edges of the pastry. Lightly brush with the egg wash, then sprinkle with the remaining 2 tablespoons of vanilla sugar. Refrigerate until firm- about 20 minutes. Position racks in the middle and lower thirds of the oven; preheat to 375 degrees F. Bake, switching pans halfway through, until the cookies are golden brown, 18 to 20 minutes (really keep an eye on them though because you definitely do not want them to burn). Immediately transfer the cookies to racks to cool completely. Great idea! I will have to make these with my son on Christmas break. Brooks, my job was very busy and could not write earlier. But since I read this post (Dec 8, the birthday of my son), I have been making these ‘snowflakes’ on regular basis, 6-7 time, All turned out extremely well. Thank you!! I just wanted to let you know. ..